PlayOn Desktop is a PC app that turns your PC into a streaming video recorder and media server. 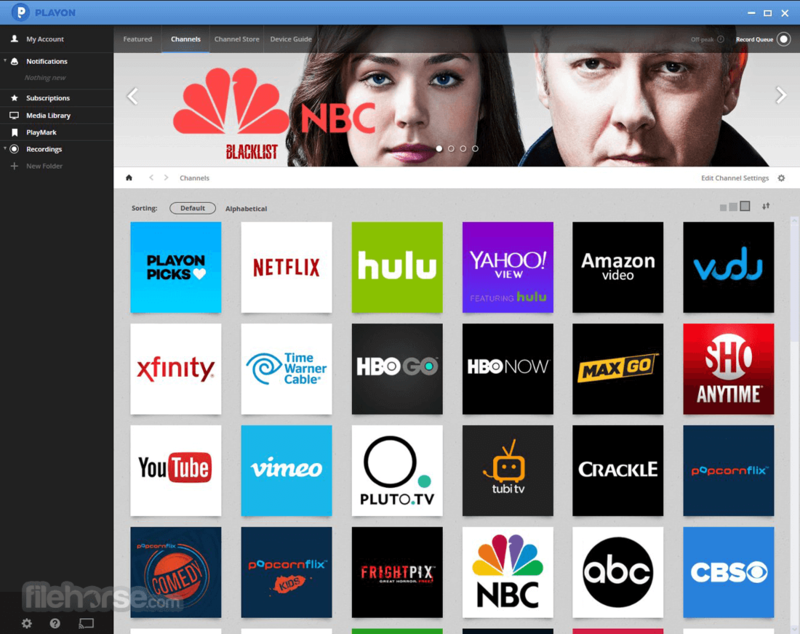 Record, cast, and stream your favorite online shows and movies from Netflix, Hulu, Amazon, HBO and 100 other popular streaming sites. Watch anywhere, anytime, on any device, without the commercials, and even offline. You are just one click away from recording all of your favorite shows and movies with the PlayOn Cloud mobile app for iPad and iPhone. Record any video from Netflix, Hulu, Amazon Video, ABC, NBC, CBS, Fox, HBO NOW, PBS, The CW, and YouTube. Download recordings to your device or to a PC or Mac. Watch offline and skip the commercials. PlayOn Desktop is a PC-based streaming video recorder and media server. When you select a show or movie from the PlayOn desktop app, an invisible browser opens and starts streaming the video from the selected streaming site (such as Netflix, or Hulu). PlayOn records online videos as they stream — just like a cable DVR or TiVo. Recordings are saved as .MP4 video files which can be easily transferred to an iPad or iPhone via iTunes, or to an Android mobile device. As an added bonus, when you play back recordings of network TV shows via an iOS, Roku, Chromecast, Android, or FireTV device, PlayOn’s AdSkip automatically skips the ads for you. A Home for All Your Media. 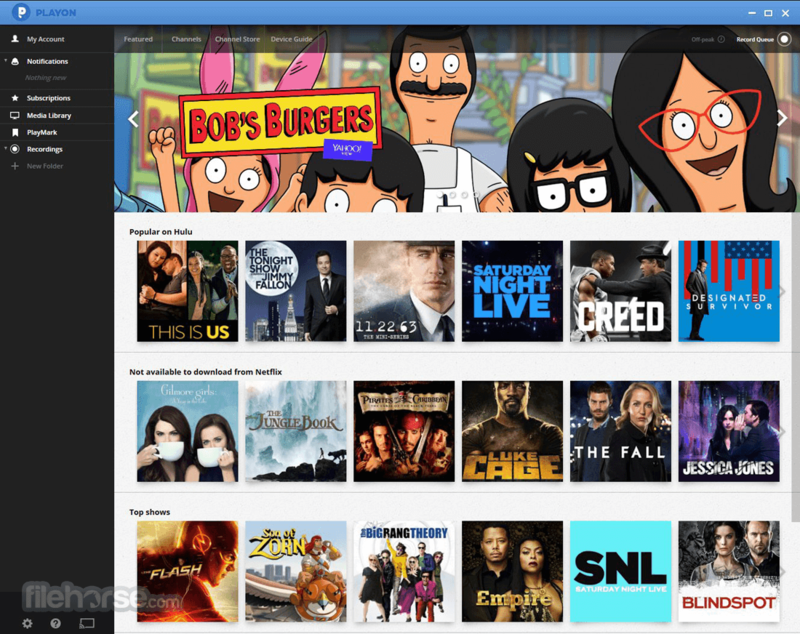 All your favorite TV shows, music and movies are organized under one roof. Stream your local media to your TV for free. Record It, Watch It, Skip the Ads. Record streaming videos like titles leaving Netflix soon so you can watch anytime on any device. Skip the commercials on playback. Any Show, Any Device, Any Time. You're just one click away from watching any streaming show on your PC, or upgrade to stream to your TV, tablet, or mobile device. Note: Some features in PlayOn (like recording, casting or streaming online content to your TV, mobile support, the PlayOn browser extension and AdSkip) require you upgrade to Plus.